I'm off to Portugal with the girls this weekend, which means I've been busy packing for myself rather than Dolly or a shoot for a change. I bought this coral Elizabeth Scarlett wash bag last year to replace my ancient Cath Kidston one that was covered in fake tan. I love it, but I've been using it all year as a make up bag, so obviously I needed another one for my actual toiletries. 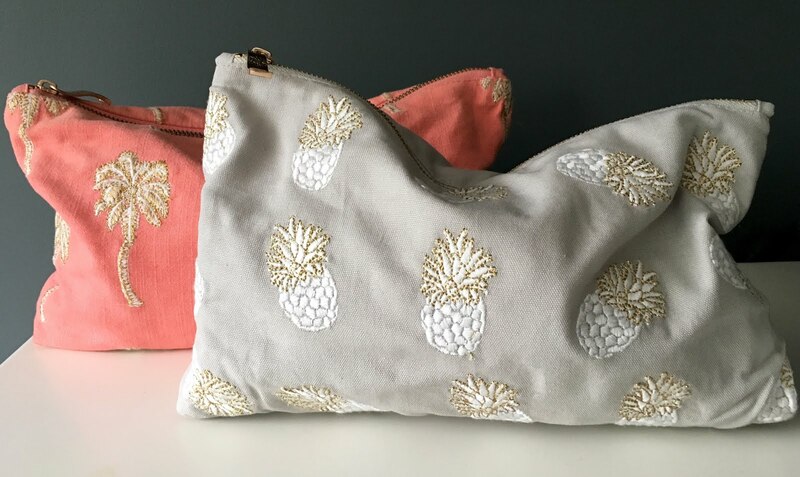 I love the colours and the embroidered palm trees and pineapples. I could really do with another one for my collection because I have way too many lotions and potions, but I'm trying to show some restraint. 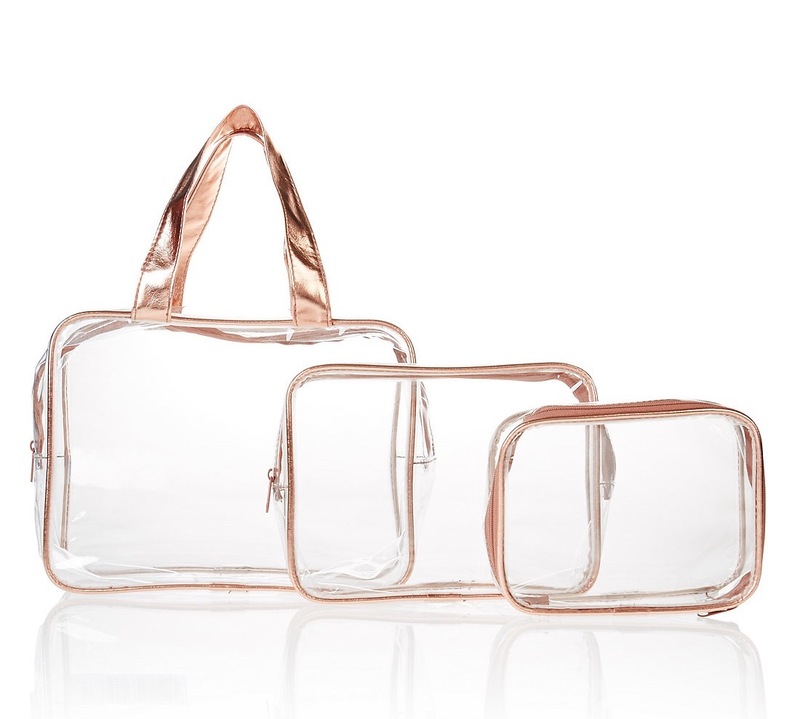 The pink velvet bag is on my wish list, but for now I've made do with this set of rose gold clear cosmetic bags from M&S. They're so handy I've got another set that I used for all Dolly's bits and pieces.